The Romance Dish: Harlequin Giveaway: Win a Trip to New York City! How would you like to win a trip to New York City? including air, hotel and $1,000 in spending money! "Don’t forget: my publisher is sending one of you and a friend to New York City! Four days and three nights at the beautiful Tribeca Grand Hotel (as featured in IF YOU ONLY KNEW! ), travel and a thousand bucks to spend! Plus, if you want, I’ll pop down to the city and take you out to dinner. Make sure you’re on my mailing list! Enter on the home page of my website." How do you enter, you may ask? why you need to escape to New York City with a friend. From New York Times and USA TODAY bestselling author Kristan Higgins comes her much-anticipated new novel, IF YOU ONLY KNEW, a perceptive and touching story—centered on two sisters and the bittersweet summer that changes their lives forever—that displays all the quirky humor and captivating romance that fans have come to expect from the acclaimed creator of the tremendously popular Blue Heron series. When wedding dress designer Jenny Tate finds herself holding the baby of her ex-husband and his seemingly perfect new wife, all she can see is the life she had always imagined for them—but one her ex never did…not with Jenny, anyway. Wanting to distance herself from the constant reminder of what will never be, Jenny decides to swap Manhattan for a brand-new start in an old place…her hometown up the Hudson River where, at the very least, she’ll have the love and support of her sister Rachel’s solid family to embrace her. Rachel believes she has the idyllic life—stay-at-home mom to young triplets and married to the ideal husband…until the day she accidentally discovers that her “perfect” spouse has been sexting and having an affair with a coworker. Devastated and furious, Rachel finds herself frozen—unable to forgive her husband for ruining their perfect life, yet terrified of losing everything they’ve built. Her parents had a “perfect” marriage, after all, and Rachel won’t accept anything less for herself. 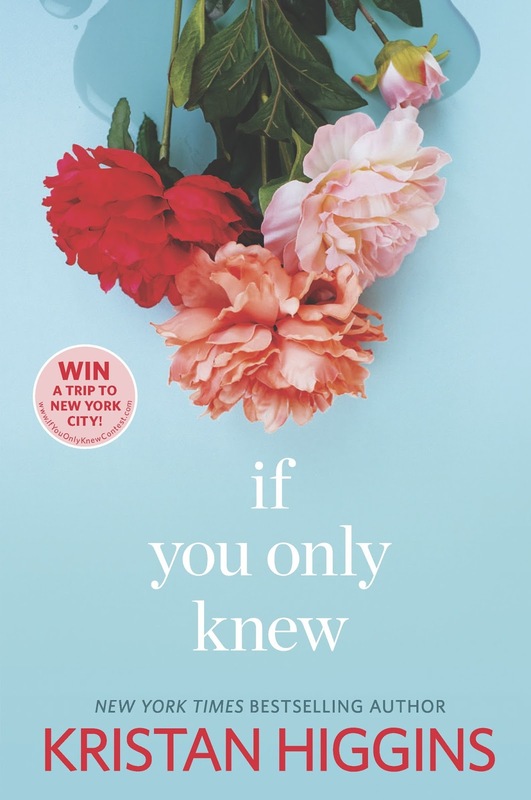 But Jenny knows something Rachel doesn’t—a secret she’s kept to herself since childhood, but to reveal it might be the last thing the emotionally fragile Rachel needs. New York Times and USA TODAY bestselling author and two-time winner of the Romance Writers of America RITA® Award, Kristan lives with her family in a small Connecticut town that boasts a wonderful library, a great agricultural fair, a really good ice-cream stand and not much else. She is the mother of two lovely kids and the wife of a brave firefighter who is also (perhaps more important) a fantastic cook. Previously a copywriter, Kristan began writing fiction when her children graced her life with simultaneous afternoon naps. Writing, she found, was infinitely more satisfying than folding laundry, and so began her first novel. Kristan holds a BA in English from the College of the Holy Cross, which means she can identify dangling participles, quote many great novels and play a mean game of Scrabble. Kristan is an award-winning baker, devoted fan of the New York Yankees and an avid reader. She and her crew spend as much time as possible at the family home on Cape Cod, where they shiver in the Atlantic, ride bikes, swat horseflies and don’t catch any fish. Click here to visit Kristan Higgins' website. Click here to sign up for Kristan Higgins' newsletter. Click here to read an excerpt from IF YOU ONLY KNEW. 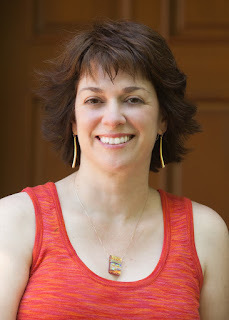 Click here to like Kristan Higgins' Facebook page. Kristan, I love your books and will continue to read them even tho' I am a avid Dodger fan. Thanks to your publisher for the chance to win this NYC trip and it won't even cost them air fare if I win. LOL. You must be a happy Dodgers fan. They're having a great season! Totally not entering the contest though. Once a decade for that horrible city is about all I can handle. I'm looking forward to reading it too, Sharlene. How exciting!!! Kristan is such a great person to chill and chat with. The winner will be in for a treat. Yes, PJ. So Far so good. They have 4 games coming up with the Giants soon.